Buying a home is an exciting adventure. First-timers and tenth-timers alike get consumed by thoughts, daydreams, and ideas about what life will be like in that next home. To keep that adventure on-track and fun, you really need to be systematic. Here are six steps at the core of buying a house. 🧐 Appraisals, Inspections, Surveys, etc. A large nest egg is NOT required to buy a home. With some loan programs, the down payment can be as low as 3.5%, even zero with a VA loan, but the higher the down payment the lower the loan rate is likely to be, with 20% being a fully qualified “conventional” loan. The bank will finance the rest of the purchase price. There are also loan fees, escrow costs, homeowners insurance, property taxes, HOA-related costs, and other expenses possibly involved with the transaction. These can total as high as 2% of the purchase price, which you pay or negotiate for the seller to pay. 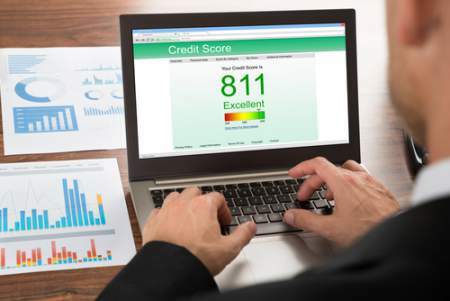 When you apply for a home purchase loan, your lender is going to order copies of your credit report and is going to collect the information to determine your debt-to-income ratio, which measures how much money you have coming in vs. how much going out. The goal of the lender is to gauge your long-term ability to repay the loan and other debts, and to determine that you have whatever cash is needed to close the transaction. Some savings needs to be a part of your game plan, otherwise you are likely not ready to buy a home. And “stuff” happens. Due to a storm or other unexpected events, property maintenance is a fairly common necessity. Our Arizona Home Loans page is a really good outline of the unique nature of home loans in Arizona. Take a look. If you are even halfway serious about buying a home, the second step is to get pre-approved for your home loan … with the first step being to call TNT as discussed just below. That’s pre-approved, not just pre-qualified. Pre-qualification can be achieved with as little as a brief discussion over the phone with a lender. It’s basically a preliminary estimate of the loan amount you might qualify for. Pre-qualification is just an inquiry, not an application. Pre-approval means you’ve submitted a complete application, submitted all the required documents for verification, passed the credit check and debt-to-income ratio evaluation, and that the bank has committed to lend you a specified amount. Pre-approval provides some of your critical home-purchase needs. First and foremost, it sets your home price limit, the basic home search criteria. Almost important, a Pre-Qualification Form submitted with an offer to purchase gives solid evidence to the seller that you have the financial capacity to complete the purchase. Sellers are very vigilant to not take their property off-market for a transaction that is not likely to be completed. Lastly, a loan origination can take significant time. A pre-approval gets a lot of that done in advance and allows a shorter escrow period that is usually preferred by sellers, and possibly yourself. TNT, The Neal Team … Wally and Patricia, will provide complete, comprehensive buyer services to you at zero ($0) cost to you … ($0) upfront, zero ($0) during the process, and zero ($0) at closing. When and if there is a closing, TNT is paid as a reduction in the net-cash to the seller based on an agreement with the seller’s broker through the multiple-listing-system. At zero ($0) cost, you can have a 20+ year “Pro” at your side every step of the way. The TNT Home Buyer Services page provides a good description to our “Client First!” approach. that you are thinking about buying a home. and have great fun doing it. Call today! You’ll be glad you did. TNT is the best source of information about metro-Phoenix and the entire library of real estate topics. Give The Neal Team at a call today at 602-931-1010 to learn more about local areas, discuss selling a house, or tour available homes for sale. Don’t be shy about the length or detail of your “wish list”. The longer and more detailed the better. Our goal is to guide you to your very best home choice … that long, detailed wish list is our road map to that best choice. Yes, some of your list items may be unrealistic, or overly costly, or not reliable items to search for in the MLS (multiple list system), etc., etc. In creating your list, don’t be concerned about any such issues … just make your list. The very first step in the search process is to discuss your needs and preferences … your wish list … to be sure our guidance and advice are focused on the results you want to achieve. The second step is to discuss how you plan to finance the purchase. If you plan to get a purchase loan, we can provide you with a list of lenders who have previously done excellent work for other clients, both in terms of quality of service and competitive rates and costs. You are welcome to choose one of these or another lender you prefer. You provide your confidential financial information only to your lender choice. We are never made aware of any of that. Ultimately, your lender will produce a Pre-Qualification form that is submitted to the seller as part of your purchase offer. If you plan to pay cash, you will need to get from the depository holding the funds a “proof of funds” letter that is submitted to the seller as part of your purchase offer. This is where we very sharply focus on the results you want to achieve … #1 being to get the property but also at an acceptable price, in acceptable condition and delivered on the day you want to own it. Every property, seller, market situation, etc. is different. That’s one reason we love what we do. All of the factors must be considered in “crafting” the offer to purchase … and it very much is an art form that we have evolved through 600+ transactions. Perhaps surprising, the most effective negotiations are conducted with a win-win approach, rather than being adversarial. We diligently build and apply those skills as well. Once you have a property under contract and the transaction in escrow, perhaps our most serious work begins. Our focus here is to minimize the stresses on you, else the fun adventure can be anything but fun. There are inspections, appraisals and title search activities to order, manage and review; SPDS (Seller Property Disclosure Statement) and insurance claims history reports to review; BINSR (Buyers Inspection Notice and Sellers Response) decisions to consider and documents to prepare; and a good many other activities to activate and manage … not to mention a lender to monitor to ensure a timely closing. We have become very effective at keeping you aware of the progress while isolated from the potentially significant stresses. We present these steps and the other guidance and advice linked below as a matter of information. 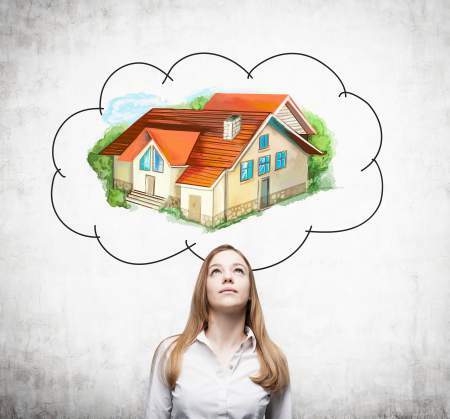 The only step you need to remember is the first step … call TNT for guidance and advice … and management of your home purchase if that’s your eventual decision.